Drawing on extensive interviews with Knight himself, journalist Michael Finkel shows how Knight lived in a tent in a secluded encampment, developing ingenious ways to store provisions and stave off frostbite during the winters. 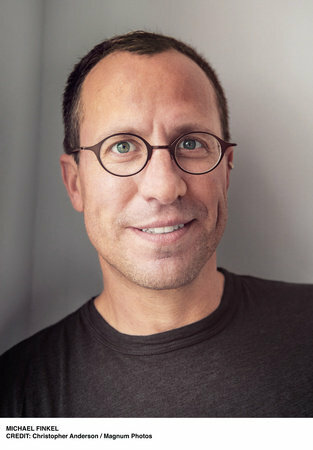 Michael Finkel is the author of True Story: Murder, Memoir, Mea Culpa, which was adapted into a 2015 major motion picture. He has written for National Geographic, GQ, Rolling Stone, Esquire, Vanity Fair, and The Atlantic. He lives in western Montana. 1. Discuss the significance of the Socrates epigraph that opens The Stranger in the Woods.How does this set the tone for the book? How does it relate to the book’s larger discussion of needs versus wants? 2. In the early pages of the book, Finkel states that Knight has “stripped the world to his essentials.” Consider the lifestyle that Knight leads in North Pond. What are his essentials? How many of these essentials are material versus immaterial? What does he value the most? 3. On page 5, Finkel states that Knight has a “moral code” that he lives by, which determines what he will and will not steal. How would you describe his moral code? How does his moral code relate to larger ideas about capitalism and materialism in the United States? 4. In the first few chapters of the book, Knight is referred to solely as “the hermit,” before his name and identity are revealed to the reader. Why do you think Finkel chose to employ this narrative device? Explore the significance of the lore around Knight as “the hermit,” and how the mythos of “the hermit” is complicated once his identity is made publicly known. 5. How would you describe the locals’ attitudes toward the hermit over time? Discuss the varied experiences of those who were victimized by his crimes and how these incidents affected their perceptions of their hometown, their domicile, and their safety. After his arrest, how does the narrative of the hermit change, if at all? 6. How do you feel about Knight? On the North Pond camp owners’ scale of “Lock Knight up forever” to “Let him go immediately,” where do you reside? 7. In chapter six, Finkel describes the fanfare surrounding Knight’s arrest, pronounced “a circus” by some local officials. Consider the irony of Knight’s fame in relation to his desire for solitude. How does Knight play into the public’s idea of what a hermit “should” be? 8. In chapter seven, the narrative lens of The Stranger in the Woods shifts to allow for the author’s point of view to emerge. What spurs Finkel to reach out to Knight, initially? Discuss their early exchanges, as well as Finkel’s first visit. How does their relationship evolve? 9. Early in their relationship, Finkel reveals to Knight that he is a “flawed journalist,” based on past actions during his reportage. Why does he choose to do this? Discuss the “lofty ideals” that both men strive for in their lives. How are they both committed to seeking truth? 10. Discuss Knight’s time in jail. How does the movement from complete solitude to imprisonment affect his morale? What tactics from his time in the woods does he use to pass the time? 11. Throughout The Stranger in the Woods,Knight is defined by many labels: He is a hermit, a thief, a prisoner, a purist, a son, a brother. Which of these labels does he associate himself with, if any? How much of a person’s identity is shaped by socialization, and how much is self-determined? 12. On page 50, Finkel states that Knight “seemed to say exactly what he was thinking, raw and true, unfiltered by the safety net of social niceties.” Discuss this statement. How does Knight’s time in the woods affect his understanding of human interactions? What is his general standpoint toward humanity? How does his exposure to media (books, radio) keep him connected to society at large? 13. When reading Notes from the Underground,Knight felt that Dostoyevsky was reaching through time and speaking directly to him. What books have made you feel that way? 14. Discuss Knight’s childhood and family. How does the idea of rugged individualism and self-reliance color his upbringing? The value of privacy? Consider his absence in the lives of his family members, and his sudden return to them. Does he feel any guilt about his decision to disappear? How does his family interpret his return? 15. On page 78, Finkel notes that Knight’s decision to retreat to the woods “had elements of a suicide, except he didn’t kill himself.” Unpack this statement. Considering Knight’s promise to go back into the woods at the end of the book, how does he view death in relation to the natural world? 16. Consider Finkel’s discussion of various hermits or secluded individuals in societies around the world. What does Knight share with these other historical examples of hermits? Is there a mutual moral commitment that underpins their solitude? How much of Knight’s decision to isolate himself seems to come from a place of idealism versus personal preference? How does his existence in Little North defy the typical categorization of what a hermit is? 17. Discuss the discipline inherent to Knight’s existence in the woods. How is his life reliant on patterns and consistency? How does he use fear as motivation? 18. On page 112, Knight wonders if “modern society, with its flood of information and tempest of noise, was only making us dumber.” Reflect on this statement. What are the pitfalls of technology in relation to modern living? How does our reliance on technology undercut some of the most essential human functions? 19. 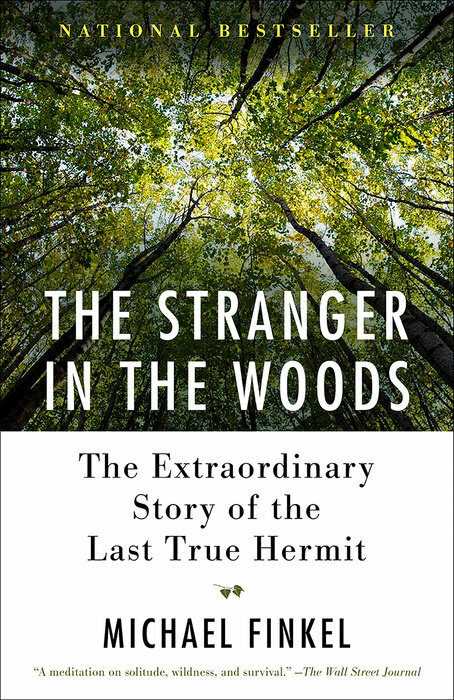 Stranger in the Woods asks complicated, fundamental questions about solitude, self-reliance, and humans’ relationship with nature, with an extraordinary, singularly unique human at the center. Consider your own life as it relates to these concepts. How often are you completely alone? Do you ever seek out solitude, particularly in nature? How is nature both restorative and challenging for the human spirit? By the end of the book, how did your feelings toward Knight evolve?